When it opened at Marin Theatre Company on Jan. 30, it had some problems, mainly that some lines were spoken too fast to be understood. That issue has largely disappeared now that the cast has had a chance to iron things out. Thus the show has coalesced into a drama where characters and plot subtleties are more clearly drawn. It’s funnier and more touching. Set in the break room of Detroit’s last auto stamping plant in 2008, the action focuses on how the plant’s possible closure affects four valuable black employees. One of them is the pregnant, unmarried Shanita (Tristan Cunningham), who finds her work rewarding but worries about how she will care for her child if she loses her job. The secretive, sullen Dez (Christian Thompson), whose flirtations she rejects, hopes to save enough money to open his own auto shop. Finally there’s their foreman, Reggie (Lance Gardner), who wants to continue supporting his wife and family and who’s torn between helping the workers and appeasing management. Faye underpins all of them. As embodied by Hall, she’s resilient and wise with the ability to say the right thing, whether humorous or stern, to defuse situations. She and Reggie have a longstanding connection that’s gradually revealed and that influences how they deal with increasingly challenging circumstances. As so well directed by Jade King Carroll, the actors create characters that one comes to care about, even Dez, who’s not very likable at first. The effective design elements are the same as in Marin with a set by Ed Haynes, costumes by Callie Floor, lighting by Steven B. Mannshardt, sound by Karin Graybash and projections by Mike Post. 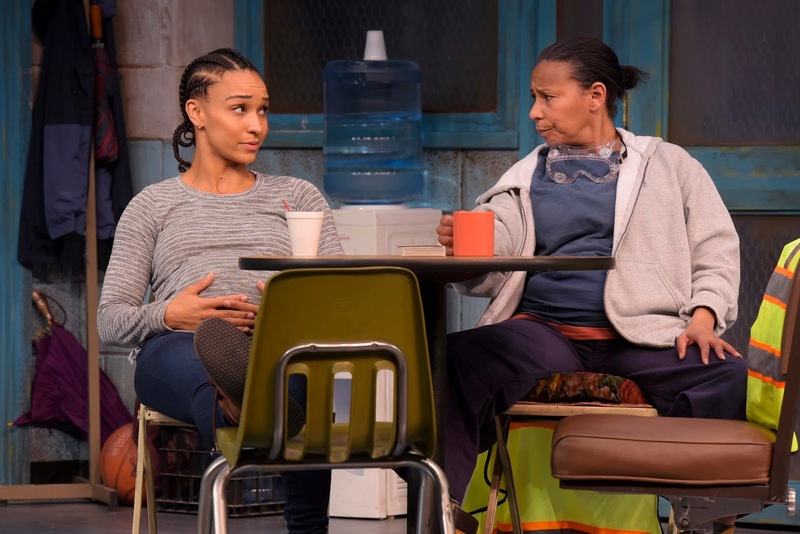 Running about two hours with one intermission, “Skeleton Crew” is an affecting look at the toll that changes in the American manufacturing sector make on real people. It will continue through April 1 at the Lucie Stern Theatre, 1305 Middlefield Road, Palo Alto. For tickets and information, call (650) 463-1960 or visit www.theatreworks.org.